Many men before Carroll Shelby dropped a brutish American V8 into a lithe European chassis, but none had managed to procure factory support for such efforts. In 1961, Shelby had already settled on the AC Ace as the steering/braking/chassis part of his hybrid. And he didn't have to twist many arms in the Ford boardroom when he told them he could take the fight to Chevy's Corvette if only he could secure some engines. Lee Iacocca, Don Frey, and the rest were on board. The first 75 cars built used a Fairlane 260-ci V8 modified to put out 260 hp. Tweaks to the new roadster included a beefed-up chassis, upgraded disc brakes, a limited-slip differential, a revised steering box to accommodate the engine, and a Borg Warner T-10 synchromesh 4-speed. The result was a rocket ship, and Shelby’s cars were successful on short tracks in regional events across the U.S. It was clear the Cobras, however, that even with a bigger 289-ci V8 the cars were no match for Ferrari's GTO on the high-speed circuits of Europe. Enter the Daytona Coupe. In October 1963, Shelby put Pete Brock to work on a coupe body for the 289 Cobra chassis. The aluminum coupe began with a long, pointy nose and ended neatly with a sharp Kamm tail. With a lower center of gravity and less drag than an open roadster, testing proved the new coupe to be capable of nearly 190 mph, a significant bump from the roadster, and a competitive pace for tracks like Le Mans. If ever a high-performance racing machine was built from napkin sketches and sheer imagination, the Daytona Coupe was it, as the people in Shelby's organization simply knew what worked and what didn't. The chassis and suspension required a bit of stiffening to work with the extra speeds, but the car was sound. And fast. Six were built—the prototype (CSX2287) at Shelby American and five others in Italy—and when CSX2287 made the practice rounds at the Daytona Continental in February 1964, driver Bob Holbert broke the GT lap record, besting the lap times of the GTOs by nearly three seconds. A pit fire put it out of the race, but the writing was on the wall; Shelby meant business. Three weeks later, Holbert and Dave McDonald secured the Daytona Coupe's first victory at the 12 Hours of Sebring. The "audition" at America's two premier endurance races was enough to convince Ford to fund a European campaign. Teething issues at Spa and elsewhere mattered little, as Dan Gurney and Bob Bondurant won a hard-fought victory at the granddaddy of them all—Le Mans. The following season, with Ferrari concentrating its efforts on beating Ford's GT40 prototypes, the Daytona Coupes cruised to the 1965 World Manufacturers Championship, sweeping the podium at nearly every race on the calendar. No other American carmaker has ever repeated the feat. 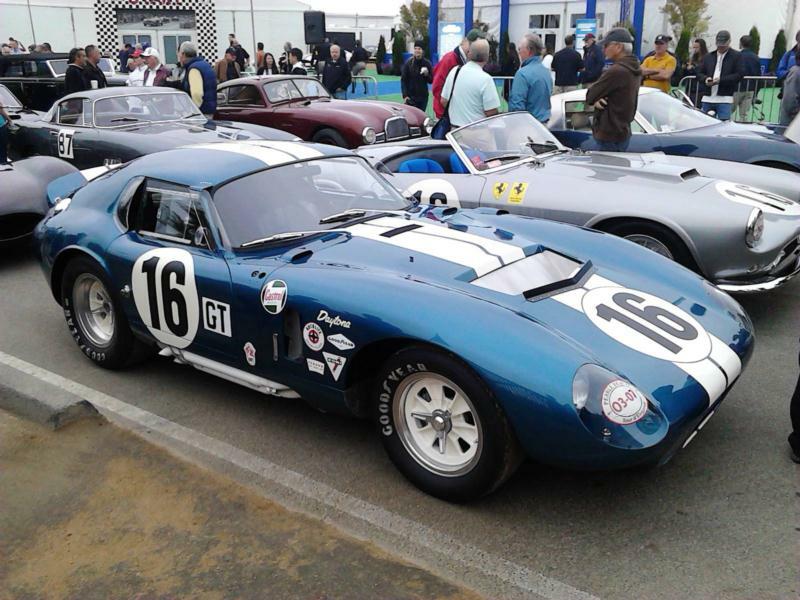 Ford recruited Shelby to run its GT40 program in 1966, and the racing legacy of the Daytona Coupe came to an end. All six are accounted for today. No American car is as revered as the Shelby Cobra, and no Shelby Cobra is as revered as the Daytona Coupe, a race machine built solely from the imagination and skill of men who knew how to build fast cars that worked.